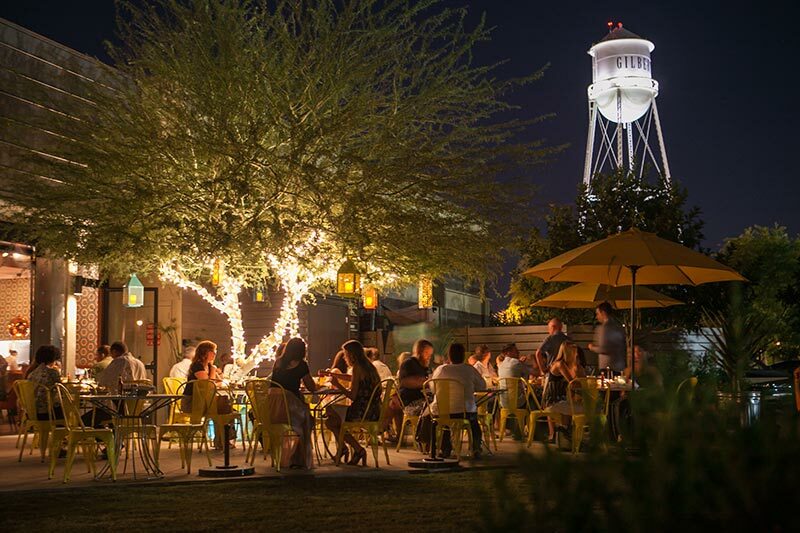 Tasty, trendy & thriving, Gilbert’s cutting-edge cuisine scene may surprise you. Consistently named among the best—and burgeoning—foodie towns in the country, Gilbert knows a thing or two about pleasing even the most discerning of palates. This fast-growing city retains its Main Street charm while attracting culinary powerhouses to open restaurants here. You want farm-to-table? You’ve got it. You want family-friendly? It’s here. Want to embark on a culinary journey into another culture? No problem. Here, we break down Gilbert’s impressive food lineup. When you think of restaurants that are pushing the boundaries of gastronomy, you might think of those in New York, Los Angeles, or San Francisco. You should add Gilbert to that list. In the Heritage District, James Beard Award-nominated chef Gio Osso shakes up the dining scene with Nico Heirloom Kitchen, where West Coast-inspired Italian fare gets a seasonal face-lift. One notable dish: the Food Network-featured lasagna al forno with cotto ham and béchamel. Then there’s Clever Koi with its Asian-inspired cuisine and creative cocktail program so impressive it caught the attention of The Wall Street Journal. Barrio Queen offers up a menu of more than 20 tacos, each packed with bold flavor combinations such as chorizo and fried eggs or grilled steak marinated with fresh oranges and garlic. Not Your Typical Deli breaks the rules in the best ways possible, primarily because it offers employment opportunities for those with developmental disabilities. In fact, nearly 50% of the employees are on the autism spectrum. In addition to this good deed, the deli serves up good food, too. Sandwiches feature house-roasted meats, and the chocolate chip cookies—from the chef’s mom’s own recipe—have been recognized as the best in the state. For every new hot spot popping up in Gilbert’s imminently walkable Heritage District, there’s a classic eatery that has stood the test of time with fan-favorite dishes and warm hospitality. The Farmhouse Restaurant is such a place. Its name is a nod to the restaurant’s original location in an actual farmhouse two miles south of its current location. Go for breakfast to start your day with belly-filling comfort food made with love. Joe’s Real BBQ is housed in a 1929 building, but the restaurant itself is more modern; it opened in 1998. Pecan-smoked meats, homemade sauces, and platters of tender ribs, plus a kid-friendly atmosphere all mean that you should arrive hungry and bring the whole family. Joe Johnston, of Joe’s Real BBQ, also has a hand in the ever-popular Liberty Market, a restaurant launched in the early days of the Heritage District’s revitalization. Its laid-back feel belies its serious food game—if you’re there for breakfast, order the griddled bread pudding and a café cubano (Cuban espresso). Even though its new iteration in Gilbert only recently opened, Nicantoni’s Pizza has been around Greater Phoenix for years. From Italian-pizzeria classics like calamari and ricotta meatballs to calzones and Sicilian-style pizza, the offerings speak to Old World cuisine in a New World setting. As a descriptive term, “hipster” gets a bad rap. But all it means is that a place knows how to set the scene with style. And when it comes to a great restaurant, sometimes it’s all about the ambiance. Local restaurant group Upward Projects chose Gilbert as a landing pad for not one, but two of their concepts: Postino East and Joyride Taco House. Perfect for sharing a nosh board and a bottle of wine, Postino welcomes all to its open-air space. Let it be known: This is where hip families come to eat and play. Similarly decked out with cool décor and an alfresco spirit, Joyride offers up shareable Mexican dishes and a margarita menu that’s to die for. For a contemporary take on the classic burger-and fries meal, head to Zinburger. Under the lofty ceiling of the modern, barnlike dining room, sink your teeth into the namesake burger, topped with Manchego cheese and Zinfandel-braised onions. On the side? How about Parmesan-sprinkled zucchini fries with ranch for dipping? Indonesia. 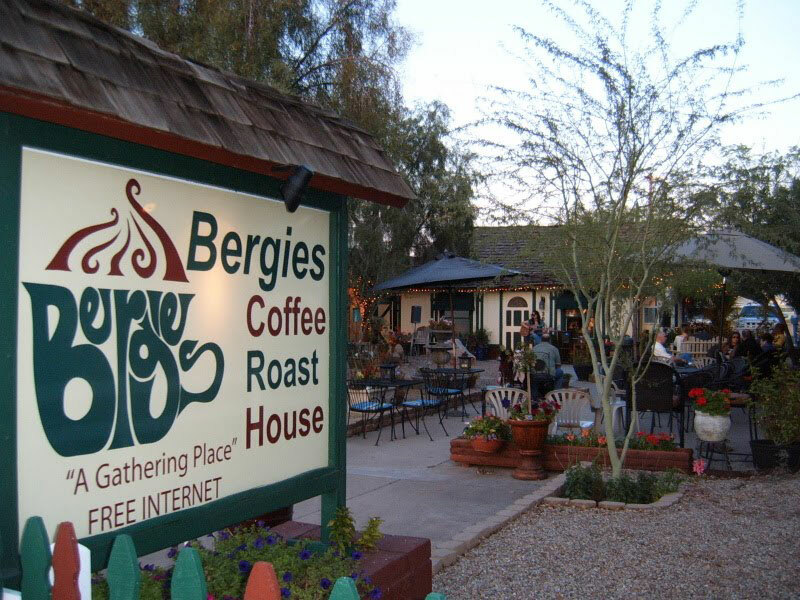 With a prime location in the heart of the Heritage District, Bergies brings an international flair and flavor—literally—to Gilbert’s dining scene. 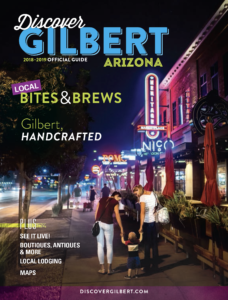 As a destination, Gilbert—and especially the Heritage District—has a lot to brag about. It’s walkable, accessible, family-friendly, foodie friendly, and exudes warmth, charm, and character. So it’s not a surprise that a lot of eateries wholeheartedly embrace the something-for-everyone approach. breakfast bowl with baby kale and crispy prosciutto. They even serve cocktails, including one drink with bacon-infused bourbon. Another “you-do-you”-style restaurant, Grubstak lets you build your own entrée, ingredient by ingredient, with their expert guidance, of course. into said sauce (ham, chicken, veggies, sweets, even corn dogs and pretzel bites). Who doesn’t love that? steam kettle cooking. 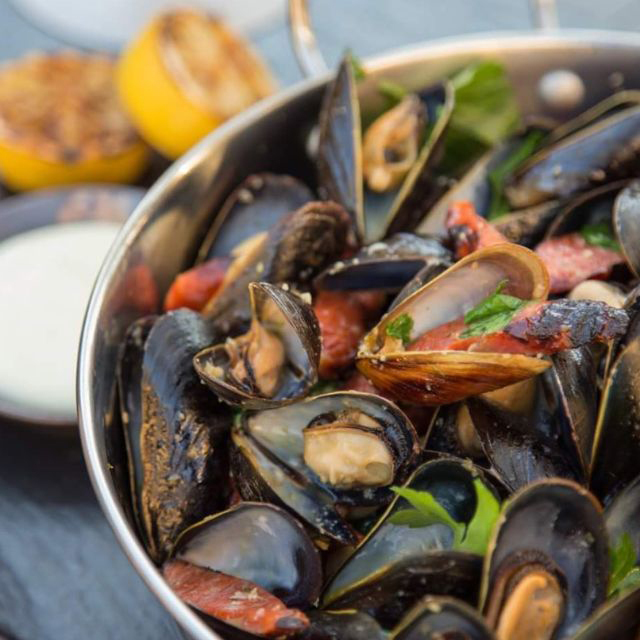 Using high-pressure steam, which applies indirect heat and allows for maximum flavor to remain intact, chefs prepare seafood right before your very eyes. Or, order a landlubber item from the menu and enjoy a local taste—High Tide sources meat, produce, and baked goods from nearby purveyors. Nationally known for being one of the first agrihoods in the country, Agritopia is a live-eat-play destination in Gilbert centered around an 11-acre urban farm. 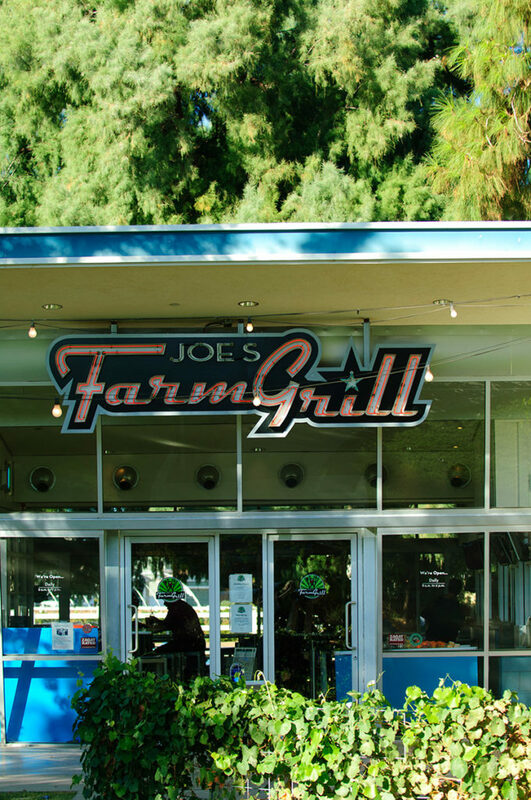 Where others claim to be farm-to-table, the restaurants at Agritopia live and breathe it. Food is sourced directly from the bounty grown on-site, including from a citrus grove, date and olive trees, and fields of greens and veggies. 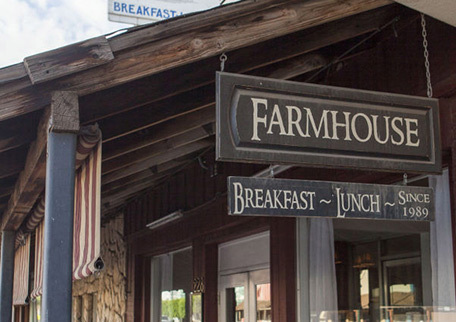 You haven’t tasted fresh food until you’ve eaten at one of the restaurants at Agritopia. salads under the shade of giant trees; The Coffee Shop, whose freshly roasted java is rivaled only by their delicious cupcakes, also showcased on the Food Network; The Uprooted Kitchen, which features salads with plucked-from-the-ground produce; and Fire & Brimstone, utilizing an impressive wood-fired oven to bake crispy and gooey artisanal pizzas.